Tamaryn may be the only artist that can give Beach House a run for their money in the dream pop realm. Her new album, Cranekiss, evokes nostalgia of the late 80’s going into the 90’s era, with blatant remnants of the Cocteau Twins unabashedly flowing throughout it. 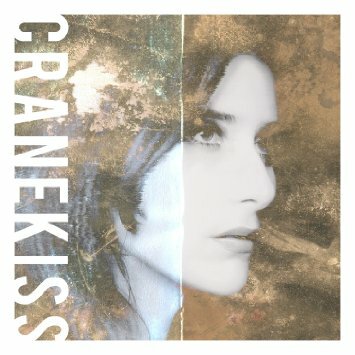 For a junior release, Cranekiss transcends many other albums by many other artists in an accomplished sense. Though she coasts the fine lines between dream pop, shoegaze and a mixture of new wave and psych that I’m going to go ahead and dub “nu psych,” Tamaryn’s talents deserve much more attention than they are granted. Signed to Mexican Summer, we first got a glimpse of Tamaryn some years ago with her with her debut LP The Waves, which would be difficult to describe as anything but “ethereal.” The same can be said of her sophomore album, which without much effort solidified her as strictly a shoegaze artist. But with Cranekiss, Tamaryn manages to retrace all her appropriate musical steps while still making her newest actually sound, well, new. “Hands All Over Me” sounds like a track that would be on a mixtape alongside a Pere Ubu song, while “I Won’t Be Found” could just as easily have been performed by an early stages Chelsea Wolfe. Cranekiss is a truly magnificent collection of tracks that should propel Tamaryn into the ranks she deserves.